Company: Asahi Carbon Company Ltd.
Asahi Carbon Company Ltd. (ACA) is a major carbon black producer. Founded in Niigata, Japan in 1951, ACA is strong in the R&D of unique new technologies as well as in manufacturing, sales, and market promotion. The company has plants in Japan and other countries, and sells its products worldwide. Carbon black is a carbon substance and is used as a pigment and reinforcing agent in rubber and resin products. This protects these materials from erosion and ultraviolet rays, and gives them strength and elasticity. Carbon black is mainly utilized in rubber products such as tires, for which its specifications vary depending on the application (airplane, passenger car, racing car, etc.). Other applications include rubber hoses and vibration proof materials as well as batteries, inks, and other items that require particular conductivity or coloring characteristics. 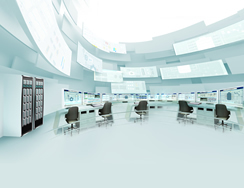 ACA has long been a user of Yokogawa's CENTUM distributed control system (DCS), starting with CENTUM XL and migrating to CENTUM CS 3000. At the request of ACA, Yokogawa successfully installed its Exaquantum plant information management system (PIMS) package on the top of this DCS. To meet these requirements, ACA decided to install an Exaquantum PIMS package on the top of the existing DCS. 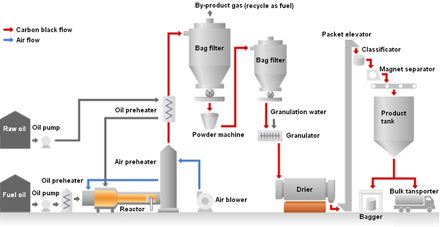 One package was installed for the carbon black process in August 2005 and another was installed at the utility boiler plant in October 2010. Redundant OPC servers and a fault tolerant Exaquantum server were also installed to prevent plant shutdowns. By using the Exaquantum historian to review and analyze process data collected over long periods of time, ACA is able to track the heat exchange efficiency between gas and air and predict when an asset might fail. It can carry out proactive maintenance, improving both product quality and yield. With Exaquantum clients in its sales office, ACA is able to monitor all the data from its production operations around the world. The information displayed on the clients is updated frequently, and can be customized to display various kinds of trend data. This ensures that engineers at the Japan headquarters can stay constantly apprised of the status of production operations and provide online technical support wherever it is required. Using Exaquantum, production supervisory personnel and operators can have shared access to the latest production data from the DCS at all times. This ensures that the right person can have all the information necessary to make the right decision. Past and current production data can be easily compared, allowing problems to be solved quickly. 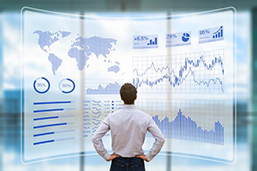 Data from Exaquantum and ACA's main computer system can be easily combined for daily reporting purposes. Automation of this function reduces the workload 90%. When Exaquantum is used together with Excel and VBA, the extraction and analysis of process data is greatly facilitated. "Exaquantum allows us to accumulate production data and use this for reporting and analysis. We have continual access to all necessary data. This allows us here at ACA to analyze what went wrong when a problem occurs. We can also share process and production data with any other department at any time. 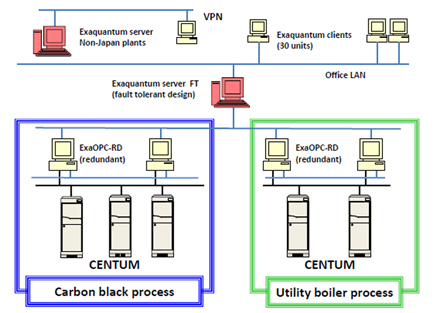 Exaquantum also saves us a lot of time by generating reports, making our work more efficient. Exaquantum is a very important package at our plant. Everyone at ACA really appreciates the reliability of Yokogawa's systems and packages."